Using the most advanced form of micro-needling technology, the Dermapen offers cutting-edge results. Designed to tighten, lift and rejuvenate the appearance of lacklustre skin, skin needling will assist in defending against the early onset and developed signs of ageing, scars and stretch marks. 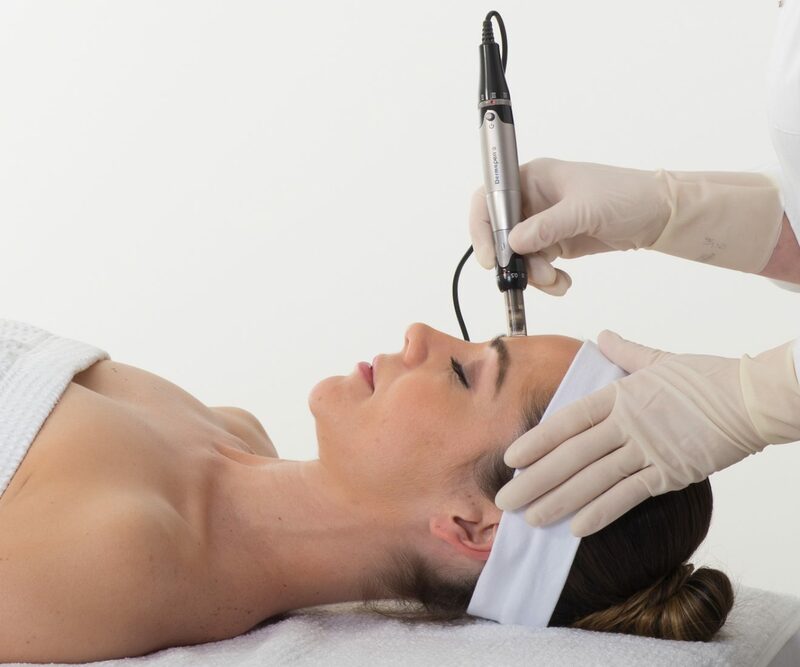 A gentle, minimal downtime procedure, skin needling with the Dermapen offers a highly effective aesthetic therapy for overall skin rejuvenation. If you’ve attempted other forms of skin regeneration therapies without satisfaction, Skin Needling may be the answer you’re looking for. Exceptionally effective in treating skin discolouration, scarring, thinning and superficial damage. Skin needling rejuvenates, hydrates, lightens, plumps and clarifies, without damaging or causing pigmentation to the skins sensitive layers. Slightly more invasive than alternative treatments, skin needling with the Dermapen works by penetrating the skin with very small needles containing an infusion serum. These needles roll across the external layer to the skins sweet spot - the precise depth ideal for stimulating the body’s own collagen creating response. Paired with the delivery of highly potent healing solutions, the Dermapen ensures a fast, effective, painless and downtime-free therapy. •	It’s important to discontinue any topical medications and active skin care products for 7 days prior to treatment. •	Please arrive to your treatment with clean skin. There should be no lotion, make-up, perfume, powder or bath/shower oil present on the skin in the area to be treated. •	Avoid sun exposure during your treatment to reduce the risk of hyperpigmentation. We will not treat sunburn skin. •	If you are in the process of undertaking additional filler injections, it is advised to wait at least 14 days after filler injections, so that any post treatment bruising from the fillers can settle. It is also possible to have your Dermapen treatment several days before having fillers injected. Consult with your NewSkin therapist prior to treatment to determine exactly how long a wait is best for your particular case. •	Slight facial redness may be experienced up to 48 hours after the treatment. However, most people are able to return to normal daily activities immediately with little discomfort. •	Application of a breathable, fragrance free cover up will seal the skin and cover any redness. •	For best results, book in for a course of 6 treatments, at prescribed intervals, or speak to your NewSkin therapist to create a course of treatments tailored to you and your skin type. •	Discuss available post care kits with your NewSkin therapist.